Hello Guys, are you looking to enable Portrait Mode in your Oneplus Devices using the Gcam Apk, then you are in the right place. Gcam is the modded version of the Amazing Google Camera which already has many cool features. Google Camera APK with HDR+ has been supported by a Ukrainian developer, B-S-G, and it is reported to work on Snapdragon 820, 821 and 835 chipset smartphones. This chipset compatibility means that the app works on a variety of phones from a variety of OEMs. You can download the full Google Camera Port APK from the link given below and use the procedure to install it. Google uses digital HDR+ processing and this technology can be run on devices other than Google’s own is quite an achievement. The GCam applications has its own set of unique features that make it possible. Even a single-lens camera phone can take pictures with ‘bokeh effect‘. The Google’s camera app comes with a mode: ‘Lens Blur‘, using it, we can take ‘Portrait Mode’ Pictures on OnePlus 3, 3T, and all other Android smartphones. The GCam Apk is completely free to download and use. The Gcam makes capturing images more fun with Blur mode and Photo Sphere mode. Here are some of the photos that I’ve captured on my OnePlus 3 using the Google Camera application with Lens Blur mode. As mentioned before, you need to be running Android Nougat for this tutorial to work. 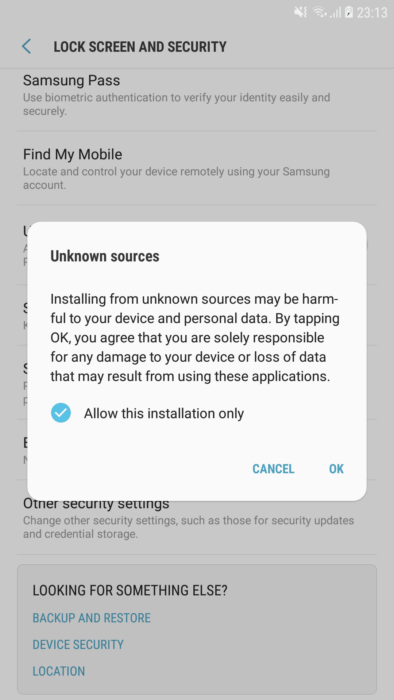 Step 3 – If you are installing an APK directly for the very first time, you would be notified to enable “Unknown Source” setting. Step 4 – After enabling, the app should install. The app would show up in your app drawer. Keep in mind, the stock camera app on your device would remain the same and this would work along side it. That’s it! You can use the Google Camera app with HDR+ directly on your phone. If you are already tired of playing with the Google Camera or you want to revert back to stock camera, use the details below for uninstalling the app. Step 1 – Go to Settings > Applications on your phone. Step 3 – Now scroll down and look for the “Google Camera” app. Tap on it. Step 4 – Now, click on “Uninstall”. If you run into issues, we will be responding to the comments to this post.